This week my introductory lecture on Enochian magick is featured on Thelema NOW!, the official podcast of US Grand Lodge OTO. The Thelema NOW! homepage is here, and a direct link to the podcast is here. The prepared text of my lecture was published over on Augoeides back in January right after I presented it, but one of the things about checking out the recording is that I don’t always stick to my prepared talk one hundred percent. Also, I usually allow people to ask questions throughout my presentations, and the answers to those are not included in the prepared text. I will be giving an introductory talk on Enochian magick at Leaping Laughter Lodge here in Minneapolis on the evening of Saturday, January 14th. Leaping Laughter Lodge is located at 3107 California Street NE, Minneapolis MN, 55418. The event will start at 7 PM. Here’s a link to the event on Facebook, if you would like to attend. If you are not local, I will be posting the text of my talk over on Augoeides as usual a few days later so you can read it then. UPDATE: Full text of my presentation can be found here. Next Saturday, August 20th, I will be giving a presentation on zodiacal angels at Leaping Laughter Lodge in Minneapolis. The presentation will be a distillation of the material found in my Evoking Zodiacal Angels article, published in the new Liber Spirituum anthology from Azoth Press. Much has been published on the angels and other entities related to the planets and elements, but far less is available for working with the angels of the zodiac. However, the zodiacal forces represent 12 of the 24 sets of key scale values found in Liber 777 and correspond to many useful practical powers. This presentation will discuss how to conjure these angels, according to the methods that I have used over the years that have yielded good results. If you are local or will be in the Twin Cities next weekend, I invite you to stop by the lodge and check it out. Leaping Laughter Lodge is located at 3107 NE California St, Minneapolis, MN 55418. The presentation will begin at 7 PM. For those who are not local, I will do my best to post the text of the presentation on Augoeides the following Monday. Leaping Laughter Lodge, my local Ordo Templi Orientis body, will be holding a Solomonic Mini-Conference this coming Saturday, April 25th, at 1 PM. The mini-conference will be held at our new lodge space at 3107 California Street NE in Minneapolis, Minnesota. The suggested donation for attendees is $10. I will be presenting a talk titled Introduction to the Thirty Aires, which will incorporate material from my not-yet-published third volume of the Mastering Enochian Magick series, Mastering the Thirty Aires. 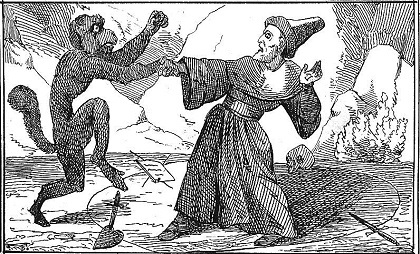 Also speaking will be Rufus Opus, on practical applications of Solomonic magick, and Joseph Peterson, on the history of the Goetia. So if you live here in the Twin Cities or just happen to be passing through this coming weekend, I invite you all to check it out. It should be a lot of fun. For those of you who were unable to tune in yesterday evening, you can listen to the archive of my appearance on Pagans Tonight Radio with Pam Kelly here. The interview went well and we covered a lot of material, and Pam is a gracious host. When you get a chance, check it out! This Sunday, October 12th at 8 PM, I will be appearing on Pagans Tonight Radio promoting my books and discussing the basics of Enochian and grimoire magick. 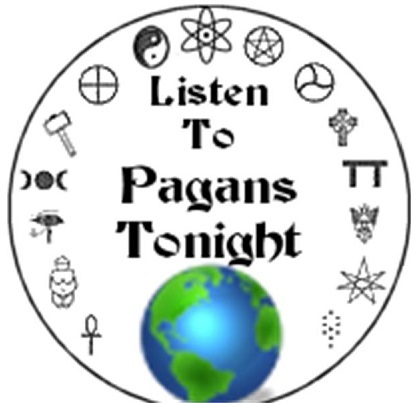 Pagans Tonight Radio is a blogtalkradio program that you can stream live from their website located here. I will also be linking to the program after the broadcast for those unable to hear it live. I hope that you will join us for a fun and informative discussion, and don’t worry about getting lost if you’re not an Enochian or grimoire expert. I’m not planning on getting into anything too technical or obscure, just the stuff that you need to know in order to get started working the system. After all, the real secrets in magick are those that you encounter for yourself, and the best way to do that is to perform some operations and see what happens. Unofficial NaNoWriMo – Fifty Thousand! So I did it. I’ve now completed fifty thousand words of my new science fiction novel The Pathless Void with two days to spare. I was going at a solid clip of two thousand a day up until the holidays, but wound up missing three days over the long weekend due to family commitments so I’ll probably be looking at 52 to 54 thousand written by Friday. The novel is not finished yet. That will take longer. My guess is that the final draft manuscript will come out at 80-90 thousand words, meaning that I won’t be reaching the end until sometime in December. I hope that I can keep it up, though, since I’m really enjoying writing it and I think my fans will enjoy reading it as well. I don’t know when the book will finally be available, but I’ll keep you all posted. I’m going to see if I can get it published as a piece of mainstream genre fiction, and if that fails I’ll make it available as an e-book, probably via SmashWords along with my other titles.